The tantalizing prospect of finding the next Facebook, Groupon or Twitter is driving the biggest rush of venture capital into the Internet start-up arena since dot-com mania first boomed and then fizzled more than a decade ago. More than $5 billion of venture capital investment flowed into young web companies globally in the first four months of the year, data from Thomson Reuters Deals Intelligence shows. Though small compared with the boom years, the sum puts 2011 on track to be the busiest in dollar terms since 2000, when more than $55 billion was deployed to back nascent technology firms. The latest frenzy bears some of the hallmarks of the previous web investment craze -- exuberance over "concept" start-ups that have not launched their sites and intense competition among potential backers to place bets in presumptive hot spots, such as the social media space now defined by the likes of Facebook and LinkedIn. Entrepreneurs such as Clara Shih, chief executive of Hearsay, a San Francisco-based specialty software provider, enjoy more leverage with investors than last time and talk about having their pick of potential backers. Shih said she had already raised $3 million, when cash came knocking at her door. "Honestly, we weren't thinking of raising money, but now it's kind of landed on our lap, we may be open to it," Shih said in an interview with Reuters Insider. Herd investment behavior gives rise to talk that another Internet bubble is forming, particularly when analysts see valuations on the order of $70 billion for Facebook and $15 billion for Groupon calculated from private investments. "I've heard ... many venture capitalists who are saying, 'No, there's not a bubble,'" said Dana Stalder, a partner in the Silicon Valley office of the venture capital firm Matrix Partners. "When you're seeing valuations double in the last 12 months for the same company, the same team, it feels like a bubble to me." The investors as well as the start-ups have an increasingly international flavor. Perhaps the most notable new face among today's Internet king makers is Russian billionaire Yuri Milner, CEO of DST Global. 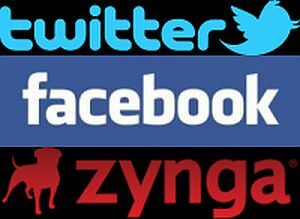 Milner has invested hundreds of millions of dollars in Facebook, Groupon and Zynga. Last month his firm invested $500 million in 360Buy,com, China's biggest business-to-consumer website. So far in 2011, 16 web firms have filed IPO documents with U.S. securities regulators, seeking to raise proceeds estimated at nearly $4.1 billion, according to Thomson Reuters data. That already tops the full-year totals for every year except 1999, when 52 companies filed to raise $4.2 billion.